One of the main concerns after installing your home solar panels in Marin County is likely the lifespan of your solar panel system. Typically, the answer to this question plays a major role in helping clients decide if the use of solar panels is a worthy investment. According to engineering.com, the vast majority of solar panel manufacturers offer an industry standard warranty of 25 years, as panels typically lose efficiency at a rate of 0.5%-1% each year. However, solar panels can continue to work well after the 25-year window, as you can expect your solar panel system to operate at an efficiency that is at least 95% or better after five years. Different panels offer different rates, of course, but here are a few ways you can improve the longevity of yours. One of the best ways to ensure that your solar panel system is always working at an efficient level is to monitor its energy output. If you ever notice a significant decline in the output, you may need to clean the panels or check for obstructions, such as additional shade from trees. 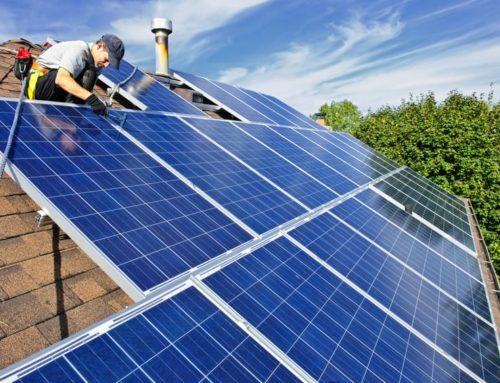 Another way to improve the longevity of solar panels is to clean them on a regular basis. Typically, it is a good idea to clean the solar panels on a yearly basis for the best results. However, it is also important to brush any snow off the solar panels if you experience a heavy snowstorm. On the other hand, it is also a good idea to remove any dust if you live in a dry area. Following these simple tips is a great way to extend the lifespan of your solar panels and ensure that everything is working at an efficient level. As one of the area’s most sought after solar power professionals, Suntegrity Santa Rosa focuses on providing high-quality energy solutions, while also providing the best customer support available. Choosing to use a solar panel system for your home is well worth the investment that will save you money, while also reducing the strain on the environment. If you wish to learn more about our installation of home solar panels in Marin County, please feel free to reach out to us at any time and schedule an appointment!